It’s December. The holiday pressure is upon us. One of the best parts of the holidays is sharing some terrific wines with our favorite people, so it’s a shame that wine buying feels so stressful to so many of us. This pairing guide should help deflate the pressure chamber of holiday stress! Garnacha/Grenache is the perfect variety to lean on for your holiday occasions – from casual gatherings to elaborated meals. This is because there are three versions of Garnacha: black, white and grey. 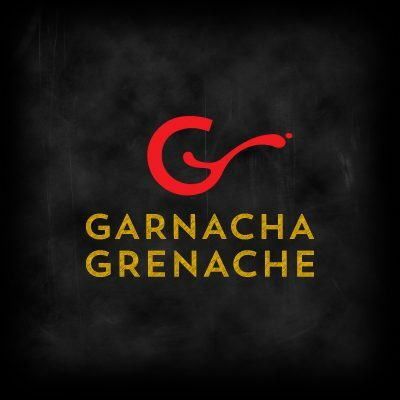 Garnacha Tinta/Grenache Noir (black) produces round and smooth wines with red fruit scents in its lighter, brighter styles and black-toned fruits in its richer, meatier styles. Garnacha Blanca/Grenache Blanc (white) offers an array of styles, from distinctly minerally wines with licorice and floral aromas to fleshier versions full of tree fruits and occasional toasty notes from oak influence. Garnacha/Grenache Gris (grey) gives powerful wines that are supple yet elegant with mineral and citrus notes. These different versions of Garnacha/Grenache multiply in their diversity of flavor profiles based on their environment. Garnacha/Grenache loves a combination of schist and clay soils but it also grows well on limestone and on other poor soils. 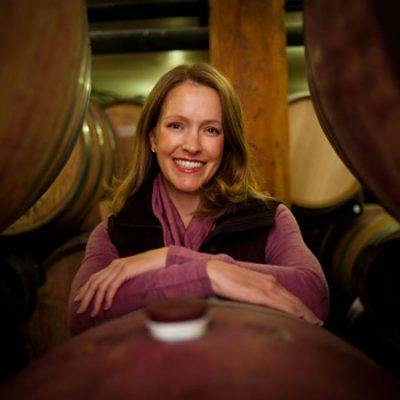 Garnacha/Grenache exponentially increases its sipping styles in different climates, too. Garnacha/Grenache loves sunshine and warmth and doesn’t mind wind. With these qualities consistent, it will nonetheless produce a more fruit-generous wine at balmier, ower altitudes and a more minerally wine at cool, higher altitudes. Wait! Don’t be intimidated by all of this diversity in a single grape! (I haven’t even mentioned that Garnacha/Grenache is frequently blended with other grapes either. That creates an even larger array of styles!) Here is your sure-fire guide to enjoying Garnacha/Grenache across your many different holiday gatherings. Dry Rancio (fortified and heat-aged) wines are great for tapas-like nibbles, such as stuffed mushrooms, cured ham, smoked or salted fish and aged cheeses. Amber or ambré styles, which have been aged at least two years and have begun to take on nutty, toasty, caramelized flavors, are often the best for these occasions. Unoaked blanco/blanc and gris as well as rosado/rosé styles are great for aperitifs and for light starter courses like leafy salads with fall fruits, salmon dishes and poultry. If you’re looking for alternative holiday food options like spicy Asian dishes, these three options offer the perfect pairings. Moving into the main courses, poultry, pork and oilier fish work well with oak-aged whites or with light- or medium-bodied reds. Red meat, game and grilled meat need a wine that is equally robust in flavor. Look for fuller-bodied reds. If your meal includes grilled dishes, wines that were aged in new oak will show a nice smokiness to complement the food’s charred flavors. Anything spicy or gamey, like lamb or dishes generously seasoned with exotic spices would be well-paired with a Garnacha/Grenache blended with Syrah, a grape that has clear black pepper tones. If you wrap up your meal with a cheese course, still white wines, lighter and less tannic reds or fruity white or red fortified styles will all be delightful. However, if your last course is dessert, opt for a dry wine with cheese so as to not tire out your companions’ palates. Then move into the sweet and fortified wines with your dessert. Garnacha/Grenache is your ultimate holiday grape! If you’re hesitant in choosing between a few Garnacha/Grenache bottlings, you can always buy a few and have your guests do their own pairing experiments at the table! Garnacha/Grenache is so wallet-friendly that this is easy to do and doing so will make you look like an even more generous host!